Between 1915 and 1923, over one million Armenians fell victim to a genocidal campaign that is still denied by the Turkish government. Thousands of other Armenians suffered torture, brutality and deportation, yet their story has received scant attention. Through interviews with a hundred elderly Armenians, Donald and Lorna Miller give the "forgotten genocide" the hearing it deserves. Survivors raise important issues about genocide and about how people cope with traumatic experiences. Many of the accounts are wrenchingly painful, but they also speak to the strength of the human spirit. 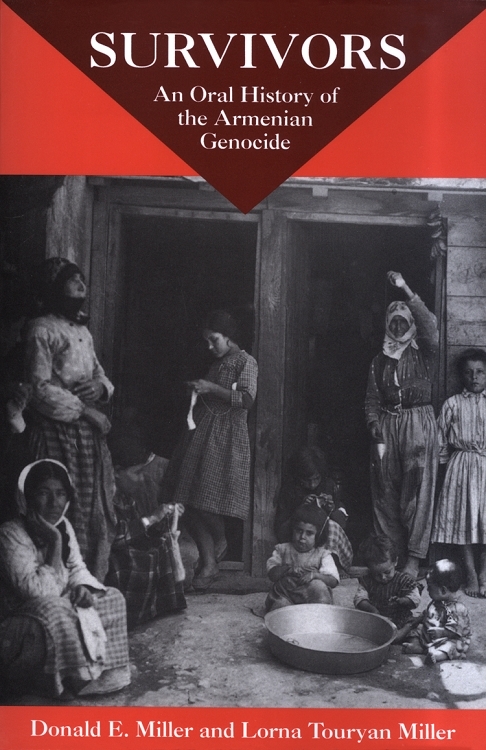 The book--divided into three sections-- begins with a historical overview of the period, followed by the accounts of survivors organized by themes (life before the deportations, the deportation marches, the experience of women and children, orphanage life and family reunions and, emigration and resettlement) and finishes with an analysis of the survivors' responses to genocide.